1.00 The purpose of this policy is to establish the terms under which university funds may be used by Board members, faculty, staff and others for reasonable business expenditures in support of the university’s missions. 2.00 Please refer to Appendix C of the Expense Reimbursement Handbook for relevant definitions. 3.00 This policy applies to all university expenses incurred while conducting university business from all funds administered by the university including operating, ancillary, research, trust, capital and restricted funds. This includes all reimbursements including but not limited to out-of-pocket expense reimbursements, direct pay invoices and university provided purchasing and travel and entertainment credit cards. 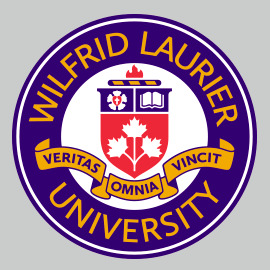 4.00 Wilfrid Laurier University funds may be used for ordinary, reasonable, and actual business-related expenses incurred in furtherance of the university’s mission. 5.00 Only expenses that include all appropriate documentation, are allowable by university policy and procedure, are in accordance with federal and provincial legislation, and, where applicable, are allowable by research funding agency rules and regulations are permissible. 6.00 Out-of-pocket expense claims submitted more than six months after the expenses have been incurred or expenses that were incurred in a previous fiscal year which has since been closed, are not eligible for reimbursement unless reasonable exceptions are permitted by authority of the President or a Vice-President. 6.01 Requests for reimbursement from externally funded grant monies are subject to the deadlines set by the granting agency, and where such deadlines require shorter timelines for reimbursement than those set out above, the deadlines set by the granting agency take precedence. 7.00 Payment does not, in itself, constitute ultimate approval of an expense and may be subject to subsequent audit adjustment. Appropriate investigation and consultation will determine the course of action should fraud or abuse be confirmed.